I’m celebrating that I “won” NaNoWriMo – my third one, though not in a row. I did it! At the same time, I’ve realized that December just isn’t the time for me to work on my writing or revising goals. Instead I’m taking some time for visioning and journaling, and getting ready for the new year. As part of that visioning, I’m making some plans for my writing and revising, as well as for my two businesses. 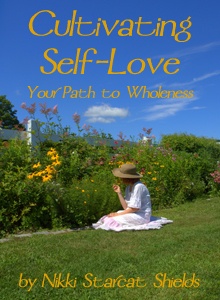 It feels good to acknowledge that what I need most this month is to go within and access my inner wisdom. So, here’s my wrap-up for my Round 4 goals. See you in the new year! Promote and sell my existing non-fiction. Get the Heart of the Goddessbook on Ingram (so bookstores and libraries can order it). Once that’s done, revise my promotion plan. Get more reviews. Look into hiring an agent or virtual assistant to help with ongoing book promotion. No progress here. The final sentence in this goal is going to be key for 2018. I’ve admitted to myself that I just don’t like promoting my books. This coming year, I’m going to use earnings from my businesses to pay someone to do it for me. Revise Patterns in the Void and prepare it for publication. Make an updated revision plan, then implement it. After the revisions are complete, do a proof-reading edit. I still haven’t returned to my revisions since last spring/early summer. Making the revision plan is part of my visioning process, then I’ll begin to implement it in early 2018. Write another novel. Decide which “book 2” I’ll be writing during NaNoWri Mo. Create an outline, including a series arc. Participate fully in NaNoWriMo and “win” the word count. Finish the draft. I “won” the NaNo word count. Now to flesh out my outline further, and finish the draft, starting in January. Continue my craft, finance, & business learning. Participate in In Arms Coaching program. Read (at least) 3 books this quarter about writing craft, finance, and/or business. Participate in Personal Finance Consciousness Circle (PFCC). Finish reading and working through the Barbara Stanny finance book. All done except the Stanny book. This will continue as an ongoing goal. I love learning about these things, and seeing how it’s helping in my career! 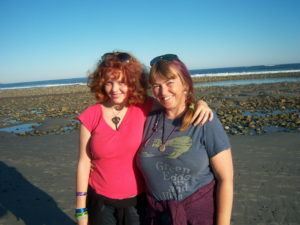 Build community for Feline Dreamers and my book midwife biz.Create and promote videos, podcasts and online workshops. Get 3 new speaking/teaching engagements in front of existing audiences. Increase our subscriber lists with aligned people. Done and ongoing. Focus on blogging. 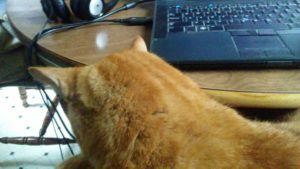 Post to my Starcat’s Corner blog at least once every other week, Feline Dreamers each month, and on this blog once per week. Write, edit, and submit monthly guest blog posts for Kind Over Matter. Submit another guest blog proposal to Mike Dooley’s site. Keep a running list of blog post ideas, drafts, and picture ideas. I’ve been neglecting my own blogs this past year. I have been doing guest blogging quite regularly. I’m keeping this goal and moving forward with it. Fall Hometending. Clear off and de-clutter my desk and filing cabinets. Finish painting the stairwell and put up photos. Work on de-cluttering the basement. Did the desk and filing cabinets, which feels great. Need to implement the other things as well. Enhance my physical health. Devote time to daily exercise, including but not limited to walking, yoga, dancing, hula-hooping, and swimming. Stop eating sugar. Restart my yoga practice. Eat less in general. I’m doing really well in this area, except for the yoga. I plan to continue, and to add more yoga back into my life as well. Live my LUMINOUS spiritual daily life. Do things I love: write in my journal, read, do yoga, dance, walk, spend time with loved ones, and express my gratitude. Pay attention to my dreams and keep records of them. Set intentions before sleep and upon waking. Meditate and do my chakra clearing daily. Gather with my sisters on Full Moons. Doing these things, or most of them, and plan to continue. The title of this post is a mantra that I’ve learned from my wonderful business coach. Showing up is key. Currently, it’s helping me with my progress through NaNoWriMo. I’ve written 37,650 words, and so I’m well set up to “win” at the goal of 50K this month. However, that won’t be the end of my novel. I’m aiming for 100K or so total, which means that I’ll be about halfway through the draft by November 30th. Although the numbers look good, I’ve been struggling a bit with this second novel of my series. I didn’t take as much time as I usually do for the setup part. Mostly because I was busy with other things. I didn’t write out my main characters’ GMC (goal, motivation, and conflict) like I did with book one. I haven’t yet fleshed out all of the plot points, so it feels like I don’t know quite where I’m aiming. As a result, doing the writing each day feels like a bit of a slog. I’m not yet in love with this novel. But I’m still working on it. The idea of NaNoWriMo is to make progress on a draft, not to have a finished product. And while doing the actual writing (along with all of my other work and family tasks) means I don’t have time to stop and do more plotting and planning, it’s temporary. My plan is to go with the flow, get to the end of NaNoWriMo, and then pause. I’ll use at least part of December to get my outline more solid (though still leaving room for discovery and for characters to forge their own way). Then I’ll start again, and finish the draft. And hopefully fall in love with the story. It might mean I need to go back and add or subtract from the first half of the draft. But I’m okay with that. By being persistent and consistent, I’ll not only “win” at NaNoWriMo, but I’ll be practicing my writing craft, and staying open to the gems that do arise from the depths of my imagination. Then I can polish them up a bit and make sure their setting shines, as well. So even though I often feel reluctant about sitting down to work on the novel, overall I have faith. There are only eight more days left of November. I’ve got this. I’m really excited to be in the throes of my third NaNoWriMo! Here we are on day 5, and my word count is 10,291. Back when I was planning out my 2017, I had intended to do NaNo this year, in order to write book 2 of my contemporary fantasy series. I wanted to finish revising book 1, Patterns in the Void, and publish it this summer. Life got in the way. So I decided, during the summer, that I would publish it this fall instead. It meant that I wouldn’t have time to do NaNo, but I was okay with that. I thought. Then in September I was doing the StorySeller’s BootCamp with the awesome folks at Sterling & Stone (which was fantastic, by the way), and had a super aha! moment. They said that if you’re writing a multi-book series, it is ideal to wait and publish once you have either all of them or most of them written. That way you can keep the readers’ interest, as they won’t have to wait as long between books, and you can use the earlier books to promote and sell the later ones, and so forth. So, I changed plans – and discovered that I was really very super psyched that I could do NaNo this year after all! The book is going well so far. I am what Shan called a “discovery writer” (love that term!) – which is somewhere between a pantser and a plotter. So far, I’ve done less planning than I’d wanted, and I’m kind of just taking it scene by scene. Though I do have a bunch of notes about what I expect will happen. Still, I’d like to do a bit more planning within the next couple of days. Regardless of that, the words are flowing and the characters are figuring out what they’re up to, so that’s a good thing. and as mentioned above, brainstorming ideas for my new novel. That’s my update. I hope your words are flowing and you’re enjoying the writing process! So, I jumped back into ROW 80 after an absence of a few months, and then promptly neglected to do updates. It’s not that I haven’t been making progress. 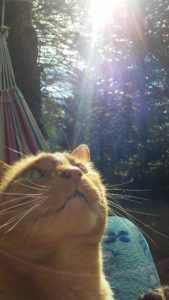 I totally have (even though I’ve also put in some relaxing time in the hammock with my feline friend). Recently, my focus has been more on my growing business(es) than it has on writing projects, though. But that is all about to change. Yes, indeed, I am one of those who are doing NaNoWriMo next month. I skipped it last year because I was getting ready to publish The Heart of the Goddess (non-fiction). But now I’m going to be writing book 2 in my contemporary fantasy series. Today I’ve been doing some initial brainstorming about the storyline, and how it will fit into the arc of the whole series, which I’ve decided will be five books total. I’m hoping to work on a loose outline over the next week or so – I’m somewhere in between a plotter and a pantser. I like to have a guideline, but still leave room for the story to evolve organically as the characters make their choices. Sounds like pretty good progress to me. I’ll try to be better about checking in with you lovely writer folk! So, I’ve been away from ROW 80 (and from updating this blog) for a few months. I pretty much skipped Round 3, but I’ve not been completely idle. You can see some of what I’ve been up to this summer in my earlier post. I’m feeling inspired and am re-dedicating myself to my writer’s life, as well as that of an entrepreneur. Here are my goals for this brand-new Round. Promote and sell my existing non-fiction. 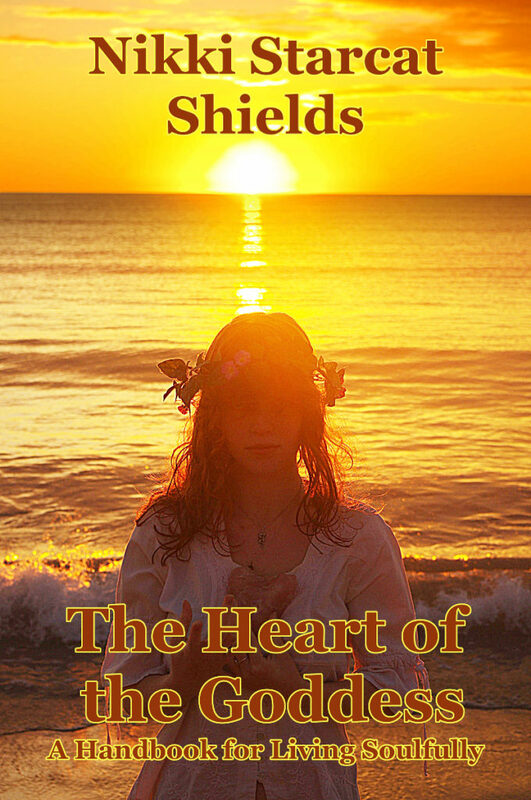 Get the Heart of the Goddess book on Ingram (so bookstores and libraries can order it). Once that’s done, revise my promotion plan. Get more reviews. Look into hiring an agent or virtual assistant to help with ongoing book promotion. Revise Patterns in the Void and prepare it for publication. Make an updated revision plan, then implement it. After the revisions are complete, do a proof-reading edit. Write another novel. Decide which “book 2” I’ll be writing during NaNoWri Mo. Create an outline, including a series arc. Participate fully in NaNoWriMo and “win” the word count. Finish the draft. Continue my craft, finance, & business learning. Participate in In Arms Coaching program. Read (at least) 3 books this quarter about writing craft, finance, and/or business. Participate in Personal Finance Consciousness Circle (PFCC). Finish reading and working through the Barbara Stanny finance book. Build community for Feline Dreamers and my book midwife biz. Create and promote videos, podcasts and online workshops. Get 3 new speaking/teaching engagements in front of existing audiences. Increase our subscriber lists with aligned people. Focus on blogging. Post to my Starcat’s Corner blog at least once every other week, Feline Dreamers each month, and on this blog once per week. Write, edit, and submit monthly guest blog posts for Kind Over Matter. Submit another guest blog proposal to Mike Dooley’s site. Keep a running list of blog post ideas, drafts, and picture ideas. Fall Hometending. Clear off and de-clutter my desk and filing cabinets. Finish painting the stairwell and put up photos. Work on de-cluttering the basement. Enhance my physical health. Devote time to daily exercise, including but not limited to walking, yoga, dancing, hula-hooping, and swimming. Stop eating sugar. Restart my yoga practice. Eat less in general. Live my LUMINOUS spiritual daily life. Do things I love: write in my journal, read, do yoga, dance, walk, spend time with loved ones, and express my gratitude. Pay attention to my dreams and keep records of them. Set intentions before sleep and upon waking. Meditate and do my chakra clearing daily. Gather with my sisters on Full Moons. Ever have one of those times when you look up and suddenly a whole season has passed? I last wrote here at the very start of the summer (late spring, really). And today is the first day of October. I’ve been busy. That’s no excuse – everyone is busy, particularly authors and the self-employed. A lot has happened, though, in the interim. My 18-year-old daughter has just moved across the country with her boyfriend and his family. I miss her so much! She and her boyfriend were living with us for the summer, before they moved. Our elderly dog passed away. I’ve started (another) business. You know, the big-transitions-in-many-areas-of-life sort of busy. But now I’m ready to return to ROW80 and inspired to ramp up my career as a writer even further. If you’ve read my updates before, you probably know that I have a business, with my partner BlackLion, called Feline Dreamers. Well, now I have an additional business as a book midwife. And my work as an author of fiction is just getting started. So there’s a lot to do. Lucky for me that most of it is super fun. I guess I’ll start with reviewing my progress on my goals from Round 2, which is where we were when I left off reporting my results here. Promote and sell Heart of the Goddess book. Get the book on Ingram (so bookstores and libraries can order it). Once that’s done, revise my promotion plan. Get more reviews. Do the 100 Review Book Launch course that I already purchased. Look into hiring an agent or virtual assistant to help with ongoing book promotion. I’ve discovered that reaching out to bookstores and promoting myself and my books in person, one shop at a time, just isn’t my thing. So I haven’t made much progress in this regard. But I’m going to renew my search for an agent and/or virtual assistant, so it will still get done. Revise Patterns in the Void and prepare it for publication. Collect all beta reader feedback in one document. Make a revision plan, then implement it. After the revisions are complete, do a proof-reading edit. (Target publication date is July 2017). I have all the reader feedback, and was working diligently on the revisions until May. I took the summer off, and revised my target publication date to November 2017. However, after taking Writer’s Bootcamp this past week, I’ve made a strategic decision not to publish it just yet. More on that in a future post. Continue my craft, finance, & business learning. Participate in In Arms Coaching program. Read at least 3 books about writing craft and/or making a living as a writer. Participate in Personal Finance Consciousness Circle (PFCC). Finish reading and working through the Barbara Stanny finance book. I have been rockin’ the learning! I’ve been in the biz coaching program consistently, and have done lots of learning on my own as well. I’m in the process of implementing much of it. Build community for Feline Dreamers. Create and promote podcasts and online workshops. Get 3 new speaking/teaching engagements in front of existing audiences. Done, and ongoing. Focus on blogging. Post to my Starcat’s Corner blog at least once every other week, Feline Dreamers each month, and on this blog twice per week. Write, edit, and submit monthly guest blog posts for Kind Over Matter. Submit a guest blog proposal to Mike Dooley’s site. Keep a running list of blog post ideas, drafts, and picture ideas. 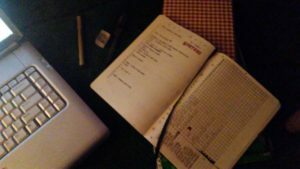 I haven’t been blogging as much as I usually do, on my own pages at least. However, I did submit a post to Mike Dooley’s site, finally, and it was accepted and published! That’s a win. Spring Hometending. Clear off and de-clutter my desk and filing cabinets. Finish painting the stairwell and put up photos. Work on de-cluttering the basement. Um. Nope. Didn’t happen. Well, there has been a little bit of basement de-cluttering. But there is much still to do. Enhance my physical health. Devote time to daily exercise, including but not limited to walking, yoga, dancing, hula-hooping, and swimming. Stop eating sugar. Eat less in general. I’ve been doing super great with the regular exercise, all summer. Yay! I’m still eating sugar at the moment. That’s the next thing to work on, I guess. Live my LUMINOUS spiritual daily life. Do things I love: write in my journal, read, do yoga, dance, walk, spend time with loved ones, and express my gratitude. Pay attention to my dreams and keep records of them. Set intentions before sleep and upon waking. Meditate and do my chakra clearing daily. Gather with my sisters on Full Moons. This has been going well for me. The only tweaks I would make are to actually do the intention setting before sleep, and to get back to my yoga practice. I almost forgot – because I’m not publishing a book this year, I have the time and energy to participate in NaNoWriMo this year. So excited! I missed it last year. I’m so much looking forward to it – and to re-joining the ROW80 world, too. Next up: my goals for Round 4. Anyone else feeling like this week went by super fast? Actually, that May itself is just speeding by? Oh, good, so it’s not just me, then. In my last post I mentioned bullet journaling, and someone asked what it was. It’s basically a method of making a customized day-planner-slash-journal-slash-to-do-list that you can tailor to your needs. This link will take you to the official site by the inventor, but if this topic intrigues you, I suggest looking for bullet journal videos on YouTube. There are some amazing creations out there! Many people like to make theirs a work of art, though you can also use it in a really utilitarian way. I’d say I’m somewhere in the middle. So, on to the ROW 80 update. Let’s see, what did I accomplish this week? I had a book signing event on Tuesday, with a couple of other authors. I was invited to participate by a friend who teaches yoga. Each of us talked for about 10 minutes, and my portion seemed to be well received. We had about a dozen attendees. I only sold one book there, but we all get the email addresses of the attendees, so we can follow up with them and ask if they’d like to join our mailing list. I worked on novel revisions only once this week. It’s going well, though. I just had a very packed-full week. BlackLion and I recorded our bi-weekly podcast, plus a re-do of a short video, and all the raw video for a virtual workshop. So that was good to accomplish. BlackLion is doing the production part, so it’s out of my hands for now, which is also good. I did tweak the marketing copy I’ve been working on, with help from my biz coach. That will be useful in helping us get the word out about our books, videos, and other offerings. This weekend has been full of family time and also some down time to integrate all that I’ve been learning. So I didn’t get to any new writing or revising, but that’s okay. This coming week I’ll have more time to work on the novel revisions. I’m also going to start setting aside regular time for writing copy. It’s such a different way of writing, and one that I want to get better at – I keep telling folks “I can write a whole book, but ask me to summarize it in a paragraph or two and I’m lost!” I figure having more time to practice will help me get better at being succinct (and compelling). And we have a lot of copy to write for our website update, so this will help me stay on top of it. My daily movement challenge (dancing and hula-hooping) is going well. We had a really hot day on Thursday, and after I got home from the retreat I went swimming outdoors (in a local pond) for the first time this year! It felt so good. I hope your week is filled with creativity, fun, and sunshine! It’s been 14 days since I last made a ROW 80 update. Not because I’ve been meandering away from my goals. Things have actually been going pretty well. 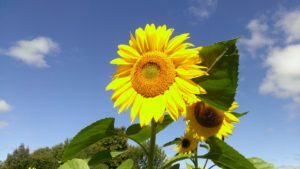 So – what have I accomplished from my goals list in 14 days? Here, in no particular order, are some things I’ve been up to. I met a librarian who wants to carry my books in a local library. I’m all ready for an inspiring discussion and book signing event (with two other local authors and a yoga teacher) on Tuesday evening. I have been working a bit on revisions of my novel, incorporating the feedback I received from my beta-readers. I worked for at least an hour (sometimes more) on 4 of the 14 days. I’m participating in my biz coaching program fully, including calls, online interactions, and an in-person women’s biz dinner. I’m also participating in the Personal Finance Consciousness Circle. I have started a daily “money mindset” activity (whether it’s reading, journaling, or other means of focusing on prosperity). I’ve been using a Bullet Journal since the start of 2017, and I really like it. In terms of BlackLion and I and Feline Dreamers, we’ve made two videos, one of which we’ve shared already and one that’s still in the works. We’ve outlined and planned an online workshop that we’ll be offering very soon. 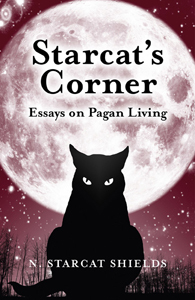 I wrote and posted a Starcat’s Corner blog post. I’ve been plotting a bit, mostly in my head and a few notes in my journal so far, about the next novel, which I’ll be starting during NaNoWriMo. I’m still doing at least 20 minutes of dancing (and some hula hooping) each day (since February 1st, woo hoo!). 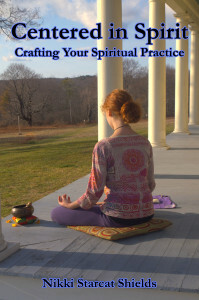 My spiritual practice is still going well, and I’m celebrating 20 years of continuous daily practice! (No, not always the same exact one – but daily!!). I hosted a fun Full Moon gathering one evening with my Wild Women sisters. That feels like a lot for 14 days, and it doesn’t even include working at the radio station, household tasks, spending time with family and friends, reading, getting good sleep (which I do, thankfully) and lots of other things. Cool! I didn’t think I’d done that much before writing this list. I highly recommend you write your own list – wait, you probably do in your regular check-ins. Well, keep it in mind for those times when you aren’t sure you’re getting anywhere. And have a wonderful week of writing! I haven’t written an update in nearly a month! That’s because I wasn’t working on my main writing project at all, and I didn’t want to say so. Heh heh. The good news is that I’m working on it now. “It” being in this case the revisions of my urban fantasy novel Patterns In the Void. Today was my second day of working on them at least an hour each day. Doing book revisions doesn’t usually bother me at all, with my non-fiction books. But for some reason, I’m making a big deal out of them with this first full-length fiction that I’m getting ready to publish. Just because I’ve been hiding from book revisions doesn’t mean that I haven’t been doing anything productive, though. I’ve been working on my business and learning new techniques, then implementing them. It’s going pretty well so far. My physical health changes are going well, too. BlackLion and I just successfully completed a 90-day dance challenge, and we’re starting a new round. Added to this at least 20 minutes a day of movement, we’ve also been getting active outdoors. I’ve been walking (with my dogs), biking, and hula-hooping, and it’s feeling quite good. The new theme I’ve been working on in my business is centered around one of my passions (and book subjects): daily spiritual practice. My own practice has been going very well. I’m meditating 30 minutes each morning, and also making gratitude lists and writing affirmations. I’ve been reading a really good book about gemstones and crystals and working with some of the rocks that I’ve been collecting over the years. So, I’m feeling rather on track, if a bit sore-muscled from the outdoor fun. I hope your writing is going well and that you have a terrific rest of the week! 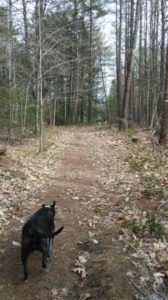 At long last, the weather is springlike here in Maine! Yesterday was a gorgeous sunny warm day. As I write this, it is pouring rain. I love both of these modes. Yesterday was amazing to get out and play in, and today we’re getting some much-needed water for the plants and trees. And it’s not snow! I’ve gotten a fairly slow start to Round 2. I’ve begun the process of collecting reader feedback for my novel draft. I still have a few readers who are finishing up their reading, and luckily my timetable is quite flexible. So far the feedback I’ve received is very useful. Everyone liked the story, and all of them had helpful comments for making it better. My goal around learning has been a big focus this week, with biz classes and readings and more. Today we recorded the first new episode of the PawedCats Podcast, which is something we used to do but set aside. We plan to offer it every other week. My ongoing health and spirituality goals are both going well. Yesterday I did some archery with my daughter, and also some hula-hooping, thanks to the glorious weather. That’s really all I have to report for now. I hope the rest of your week is full of inspired action!